A synthetic drug problem is sweeping much of Europe and North America, making the war on drugs much harder to fight. Synthetic opioids, synthetic cannabinoids, and synthetic cathinone are becoming increasingly popular as recreational drugs. The street drugs give a much more intense high for a fraction of the cost. In 2018, Manchester was hit with an epidemic caused by the drug Spice, which mainly affected the city’s homeless populations as users were seen in public disorientated, confused, and violently vomiting. The synthetic drug problem is multifaceted that creates devastating consequences. The drugs are created in laboratories, and new ones pop up every month with slight bits of their chemical composition tweaked to exploit legal loopholes. Because of their novelty and constantly changing chemistry, the drugs will not show up on most conventional drug tests (which is part of their appeal). Healthcare professionals and police forces are therefore challenged when attempting to identify users and administer proper treatment to those overdosing. The potency of synthetics is also so much greater than drugs derived from plants, such as cocaine or marijuana, that the danger of overdosing is substantially higher. One of the first major synthetic drug outbreaks occurred in Germany 10 years ago. 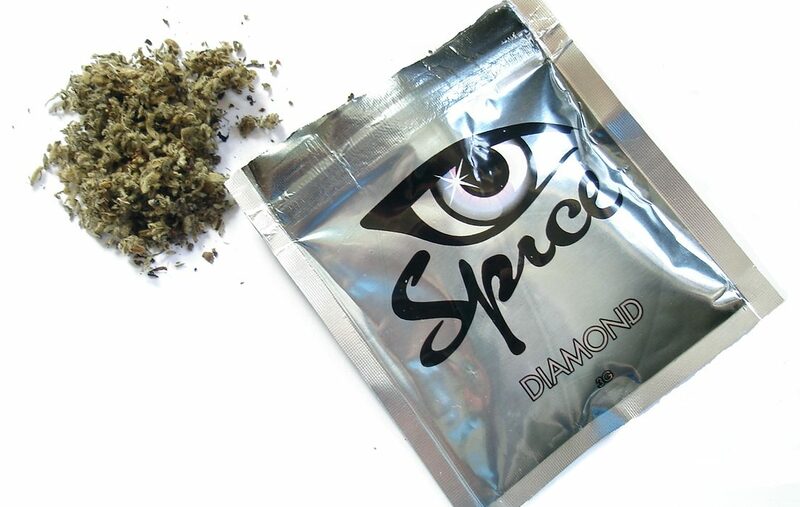 Back then, the strange drug causing people to act like zombies and crash their cars while high is all too familiar now: Spice. Since then, the use of synthetics has only proliferated following the globalisation of pharmaceutical production. Over the past few decades, many US pharmaceutical companies have outsourced their drug production to factories in China. This has meant that many facilities now have the capacities to create a whole range of compounds, including recreational drugs. They can do this at a fraction of the cost as well. Unlike drugs derived from plants that need to be cultivated in specific conditions, chemists can just synthesise new highs for a few pence, making the entire business incredibly lucrative. The source of their inspiration? Science journals. For decades, scientists have researched the chemical composition of cannabinoids, opioids, and their possible medical uses. This means that there are hundreds of research papers detailing the composition of synthetics that are easily accessible by the public. Because experiments need to be replicable, researchers also need to publish exactly how they made their synthetics as well. Spice, with the formal name JWH-018, is one such example. It literally carries the initials of its creator: John William Huffman, a professor emeritus of organic chemistry at Clemson University. Professor Huffman has spent much of his career studying the interactions of THC (tetrahydrocannabinol) with receptors in the brain. Researching how the chemical interacts with our body to affect appetite, sleep, and pain could possibly result in the creation of new medicines (especially those that can alleviate the effects of chemotherapy). JWH-018 is but one of hundreds of novel compounds that Huffman and his colleagues created and tested. By an unfortunate turn of events, valuable medical research has been hijacked to create a modern drug crisis. Legislators, healthcare providers, and police forces have all been pushed to come up with new solutions to tackle the rise of synthetics. Recently, the Greater Manchester Police have collaborated with the Manchester Drug Analysis and Knowledge Exchange (MANDRAKE). MANDRAKE can analysis the chemicals in a drug sample under 60 minutes, and relay that information to emergency services to facilitates effective treatment. MANDRAKE has also trained law enforcement and prison staff to use drug analysis machinery to collect important data. Though producers have exploited scientific transparency to create harmful street drugs, forensic scientists and chemists have stepped up to help combat the problem.